We all love to live a hassle-free life. But there are some unfortunate individuals who aren’t lucky enough to live their life without seeking a minimum help. However, these limitations never stop these amazing human-beings to make the most of their lives. And the electric wheelchairs prove to be their true companion. These wheelchairs which operate with electricity are the upgraded version of the normal wheelchairs. They come with greater stability and minimize the risk of tilting or tipping. Further, one needs minimum effort to manoeuver these wheelchairs and can reach even the impossible locations. 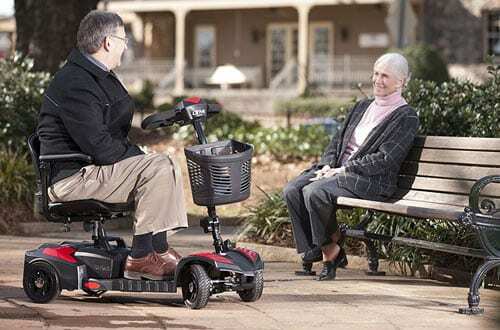 So are you planning to get an excellent electric wheelchair for your loved ones? But how to pick on the perfect one when there are so many options available? Well, here we have jotted down the best electric wheelchairs that will suit your purpose perfectly. 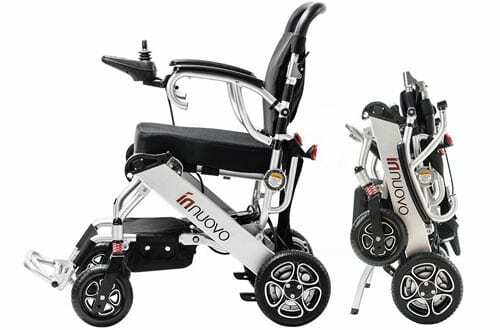 The best thing about this electric wheelchair from Innuovo is the safety features that it comes with and thus, this wheelchair one of the best ones. 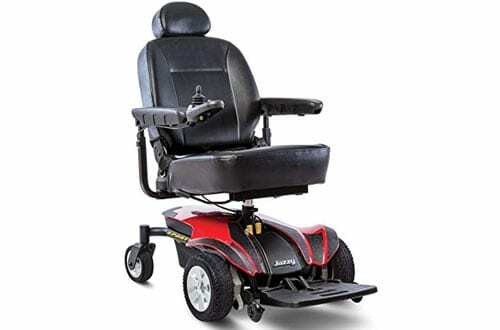 This wheelchair comes with features like joystick, stable rear wheels and sturdy footrest. Thus, it is easy to operate. Furthermore, the wheelchair is lightweight and has a durable construction. Most importantly, it comes with a shock absorber for its front wheels. So, this chair is comfortable to use. Lastly, the premium welds make it a reliable product. Has a swing away footrest. Very comfortable yet easy to use. Will keep the individual safe whenever any emergency situation arises. Quality assurance of a lifetime. The Drive Medical Scout Compact Travel Power Scooter combines mobility with absolute style. The best thing about this scooter is that it is completely light in weight and has a compact design. Thus, it is ideal for transportation and home use. The scout compact travel scooter comes with four wheels thus making it ideal for uneven terrain. Further, the scooter comes with a quick and easy to connect battery pack as well as a delta-shaped steering handle. So, it can be used without providing much power. The exterior of the scooter is customizable and comes with interchangeable colorful panels. Can be dissembled into five small and easy-to-handle pieces. 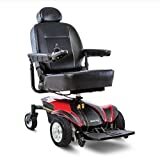 If you are looking for a reliable electric wheelchair that is both comfortable as well as convenient, then the Pride Mobility JAZZYSPORT2 Jazzy Sport 2 Wheelchair is the perfect choice for you. 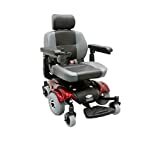 It comes with two large wheels and two swiveling wheels on the back to provide you with stability and mobility on every terrain. Furthermore, the seat is highly comfortable and it comes with a joystick for facilitating easy operation. Hence, you will not have to face any problem. Two main wheels and two swiveling wheels make it easy to use. 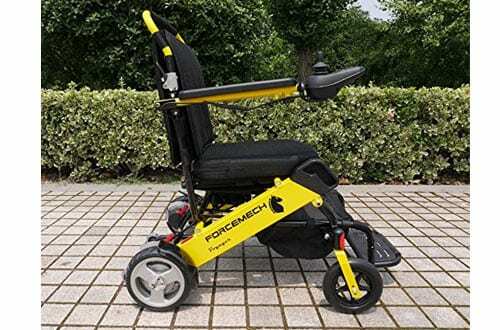 The New Voyager R2 is the latest addition to the incredible line of utility electric wheelchairs by Forcemech. The best thing about this wheelchair is that it is completely portable. Having a weight of only 43 lbs, this wheelchair is completely lightweight and can carry up to 265lbs. The R2 has an incredible design and it is equipped with all the latest technology. 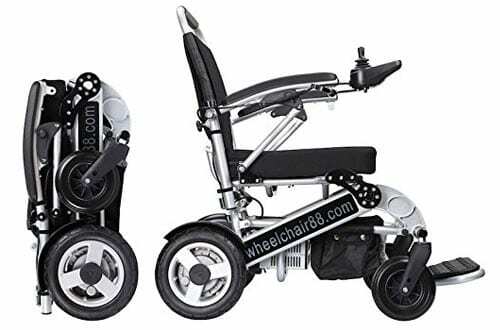 The wheelchair runs on 6Ah lithium batteries which will serve you well up to 16 miles. The ergonomic design allows it to fold and unfold instantly. Has a durable built along with high-quality materials? 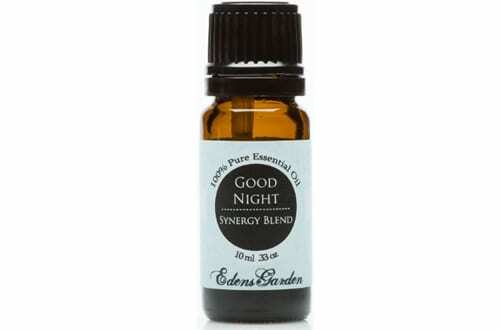 Perfect for on the go purpose namely traveling in the plane, cruise etc. 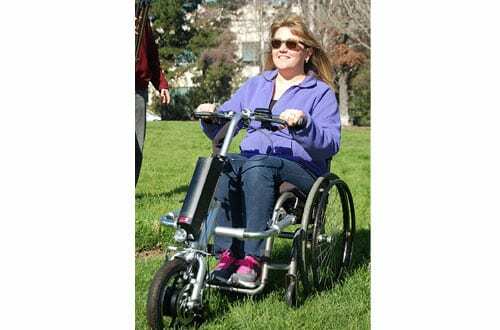 Though it is a heavy duty wheelchair, the Foldawheel PW-1000XL Power Chair is extremely light in weight. It will serve you irrespective of your body weight or stature. Furthermore, the wheelchair folds and unfolds quickly. Plus, it is compact enough to fit in the trunk of a car. Also, it provides you with a speed of 5 miles per hour. The 18-inches cushions are comfortable and provide you with ample space. And the support wheels are anti-tilt which guarantees safety. Has a weight capacity of 330lbs. Easily folds and unfolds in just 2 seconds. Uses a powerful quiet motor and 10″ rubberized rear tires without being bulky. Detachable connector with the version 3 of our Joystick controller. The Firefly electric attachable handcycle makes your normal wheelchair an efficient machine operating at a speed of 12 mph. 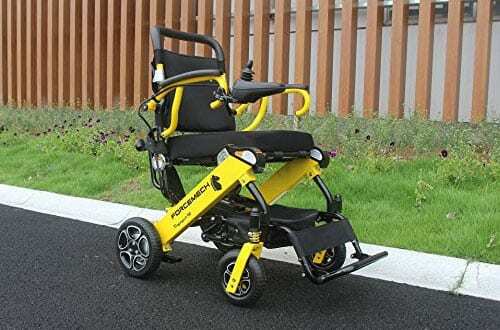 The best thing about this wheelchair is that it comes with a powerful battery that allows you to travel a distance of 15 miles with a single charge. The wheelchair also makes it easy for you to navigate without straining your shoulders. Plus, the 220W brushless motor offers great power to help you move freely. A silent and powerful hub motor that can even go up the hills. Enhance stability hence no more of tilting or tipping. A lithium battery of 36V assuring to serve for a longer time. Comes with bell, battery life indicator, LED headlight and other safety features. The Deluxe DX12 is known for its sturdy frame as well as comfortable riding. The model comes with caster wheels having 7.5-inches diameter and 12-inches rear wheels. It takes just a second to fold and unfold. The powerful LifePO4 lithium battery provides 10-15 Ah battery life. Moreover, it is highly stable having four wheels. Plus, the joystick can be mounted on the right or left arm-rest depending on your preferences. 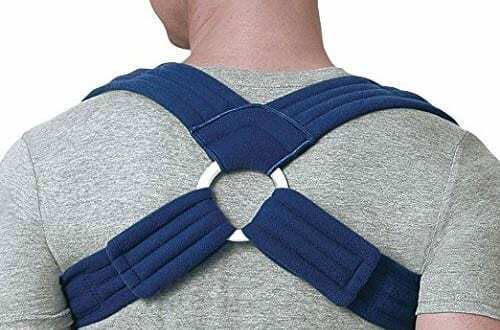 Moreover, the back support can be changed in 5 positions according to your will. Has a sturdy durable built? 4 wheels provide the scooter with stability. Seats, as well as seat covers, can be removed which facilitates hassle-free cleaning. 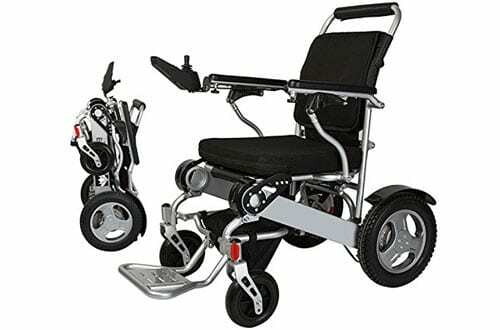 This electric wheelchair comes with a sturdy aluminum frame. Hence, it is very light in weight and highly durable. Though it is lightweight, the Bangeran Wheelchair has a weight capacity of 360lbs. So, you will not have to worry about your weight. 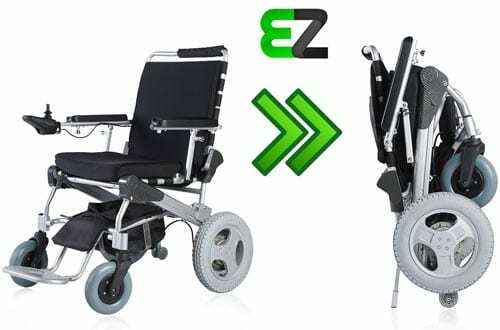 Furthermore, the wheelchair folds and unfolds within 2 seconds. And it has a compact design, so you can easily carry it anywhere. It comes with a highly powerful battery and a usable charger. The battery can serve you for more than 12 miles in a single charge. Have seat cushions of 18-inches. Comes with a quick release anti-tilt support that for further safety. Can be carried on an airplane. 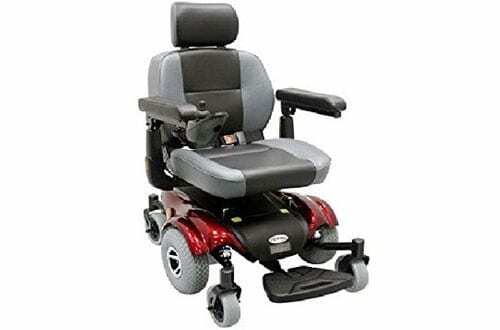 This wheelchair from CTM Homecare Product Inc is undoubtedly one of the best ones available in the market today. It comes with 19″ mid backseat. The seat also features an adjustable headrest along with a safety belt. 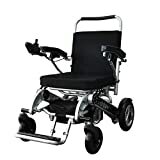 Furthermore, the wheelchair is driven by 10-inches strong wheels along with 6-inches durable caster wheels on the front as well as in the rear for steering. Being manufactured from quality materials, this wheelchair is very durable yet light in weight. Above all, it is easy to use with the joystick. The chair comes with a comfortable mid-back seat along with an adjustable headrest as well as a safety belt. There is nothing better than ending the list with Forcemech Voyager. And it sits atop our list for all the right reasons. Weighing just 46lbs, the wheelchair has a carrying capacity of 265 lbs. Plus, it comes with two batteries which help you to go 25 miles without charging it. Lastly, the wheelchair can be easily folded or unfolded just by consuming a second. Undoubtedly, it is very convenient. It is ultralight with a weight of just 46lbs. The wheelchair has been designed in such a way that it falls under the approved air travel guidelines. Two batteries allow one to travel for 25 miles without worrying about charge. Can fit almost any trunk space. Protect your loved ones from any unwanted hassles by getting hold of any of these effective electric wheelchairs that will act as a savior. It trustworthy and one of a kind!